Happy Monday my lovelies, I hope you all had a really nice weekend. I have woken up this morning with a really bad cold, so I have lots of tissues next to me as I am typing this. 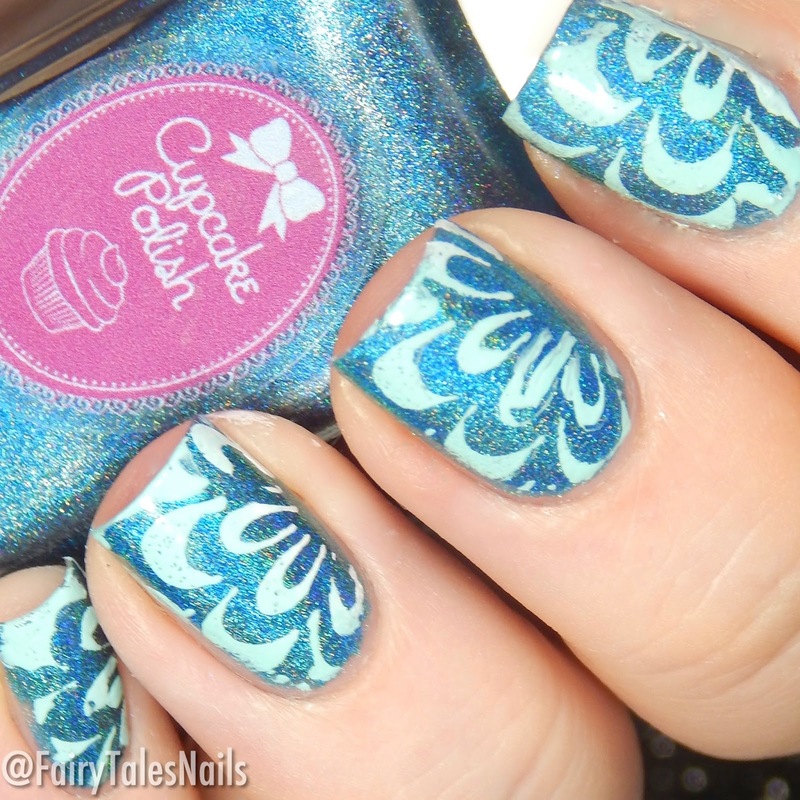 For today I have some more lovely nail vinyls to share with you, so let's take a look. 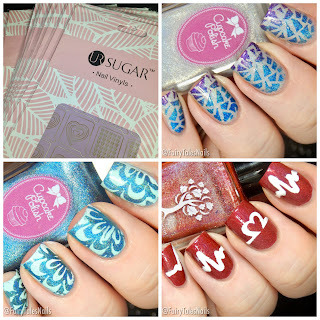 The lovely people from URSugar recently contacted me to ask if I would like to review some of their products. 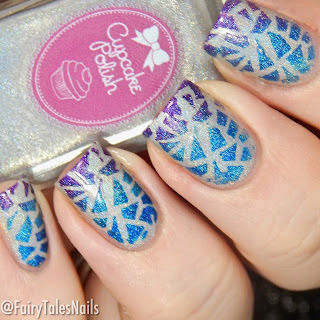 I chose their beautiful range of nail vinyls, and I can tell you now I was very impressed. The package arrived in about 3 weeks and was nicely bubble wrapped so no chance of damage. Each packet of vinyls has 2 designs with 10 vinyls for each design, so that is two full mani's. Here are some of the looks I came up with using the various designs sent to me. The first design I came up with was using UR-02 (#39877), this packet comes with mermaid scale vinyls and some smashed mirror vinyls. For my base polish I used Look At You Go-Go from Cupcake Polishes Mod About You collection (full swatch and review of this collection coming soon). I also used the 3 other polishes I have from that collection and sponged this over the vinyl. 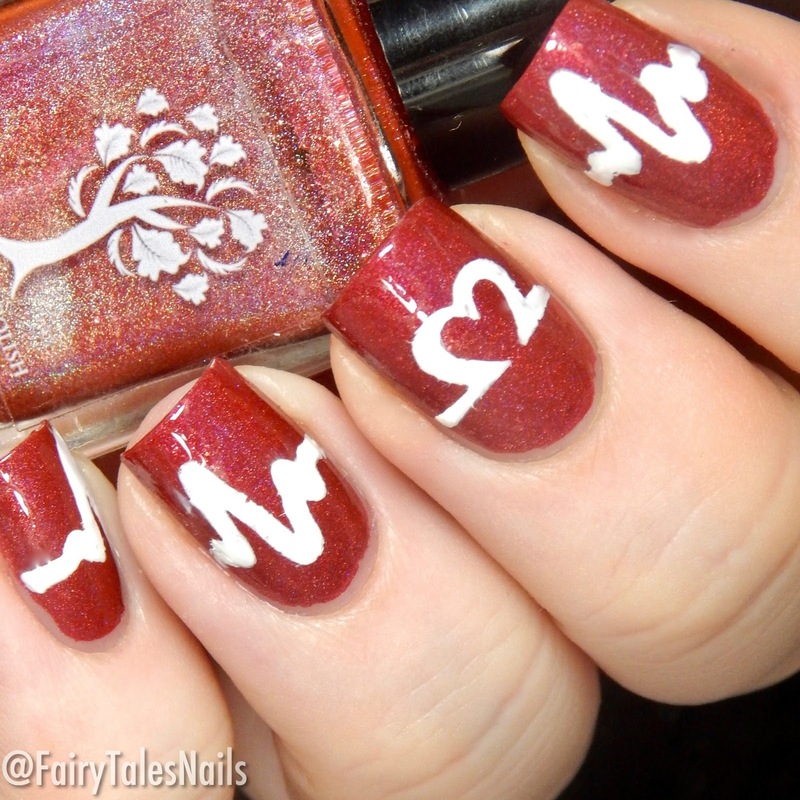 The vinyl was very easy to use, a nice thickness and really simple to apply. For my second design I used some of the Vinyls from UR-09 (#39877), this sheet has two designs the heart beat vinyls and some drip vinyls. My base polish for this mani is Danglefoot Nail Polish Swan, my review for all of the Danglefoot Nail Polish Once Upon A Time duo's can be found HERE. Again these vinyls applied really nicely and left nice clean lines. For my final design I used the watermarble vinyls from UR-01 (#39877), this set comes with these flower watermarble vinyls and some jigsaw puzzle vinyls. My base polish for this mani is Cupcake Polish Suitor on a Scooter, another gorgeous polish from the Mod About You collection. I then Used Esmaltes Da Kelly Icaro and sponged that over the vinyls, I removed the vinyls while the polish was still wet and found it worked really well. I did have spots where the polish bled slightly but I believe that was my error by having too much polish on my sponge. Overall I really loved these vinyls there were simple to use and very effective, each sheet costs 74p so an amazing price and you could definitely stock up on all of the beautiful designs they offer. Each set of vinyls came on a clear plastic backing and removed easily, they applied nicely and were a good thickness so they didn't stick together or tear. I have loads more designs to try so you will definitely be seeing designs with these vinyls show up on my Instagram. URSugar is a shop on AliExpress that has lots of nail goodies to offer, they also stock Born Pretty Store products too. They offer free worldwide shipping and have plenty to offer at a good price, I will leave links to their store and social media down below. Would love to know what you all think? Have you tried this brand before? Let me know in the comments. Plenty of beautiful polishes and nail art items coming up, chat to all you all again soon. I really love the shattered glass look! Love the Manis you created with these vinyls! These are beautiful manis. I like the one that mimics a marble. My favorite is the one that uses the white Cupcake Polish. Those are colors I adore. 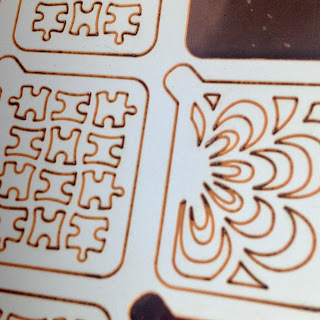 I love when water marbles are easy with vinyls (and stamping)! :) It's my favorite look. The cupcake polish design is stunning too! These stencils are so pretty! I definitely need to pick some up. How cute! The first one is definitely my favorite. Cute looks! I like them all. I really like the watermarble vinyls. They look so real! I adore the heartbeat and the mermaid design! That's a great price on vinyls!